What would motivate a retired married couple to attempt a petition demanding a policy of advising CoQ10 when doctors prescribe cholesterol-lowering statin drugs? In Japan it is required to prescribe CoQ10 with statin drugs, but not in the U.S.
Peter (Pete) and Terry Mare  stumbled on some startling information about statins and CoQ10 as part of their personal experience dealing with the medical establishment and their refusal to remain silent about what they discovered. Pete’s first encounter with statins came with Pravachol that he was prescribed in 2002 despite his liver problems. Within two months of extreme illness, a sonogram showed his liver was half dead with fatty liver. That was it for him and statins, but he didn’t quite know why yet. In September of 2007, a large nodule was discovered in Pete’s lungs. Nodules are often benign unless they are large or getting larger. This concerned him enough to beg for solutions outside the medical establishment. He wasn’t keen on chemo. So he asked his acupuncturist what he could do about it. The secretary, who was Chinese, heard his question and said she would ask her father for advice. He was a chief medical researcher in China. Through the secretary, he advised Pete to take 200 milligrams of CoQ10 daily based on CoQ10 studies he had done with mice in 1992 for both preventing and curing lung cancer. Pete went on the CoQ10 and went back for another CT scan in December of that same year, 2007. The nodule was gone. Pete told the doctor about the CoQ10, and he got angry, claiming that it wasn’t a nodule to begin with and his report would state that. This was the beginning of further inquiry from both Peter and his wife Terry, who had worked in medical research labs as a histologist . The least publicized actual side effect of cholesterol-lowering statin drugs that complements the dangerous intended effect of reducing cholesterol is they also block CoQ10 production, which is already waning among those aged 40 and older. That’s the age when people begin getting prescribed statins per the newest statin drug guidelines. The irony is that CoQ10 is vital for good heart health! CoQ10 is on high demand from cells in muscle tissue, and the muscle that works the most without rest is the heart. Instead of supplementing CoQ10 when one reaches the 40 year plus mark, he or she will likely be prescribed statin drugs for life as a preventative against cardiovascular disease and heart attack. As statin drugs decrease one’s already lowered CoQ10 production from aging, the heart can get slowly weaker, leading to congestive heart failure. This is when the heart keeps beating, but it is so weak it isn’t strong enough to maintain blood flow throughout to meet the body’s needs. Instead of the pain that accompanies a sudden heart attack, gradually one begins to have less and less energy. Excessive tiredness comes in that may be incorrectly attributed to aging or being out of shape. Exercise only further exposes one’s breathing problems. Distended belly and leg swelling also occur. This can go on for years with increasing disability until there is a total heart failure. The newest guidelines for statins almost require physicians to put patients on statins as a preventative practice for life. As the CoQ10 deficiency worsens from statins, the poor patient goes into a debilitating spiral without any recognition to its true cause. The statin side effects of muscle pain and weakness many experience are associated with diminished ATP, the energy molecule that’s essential to efficient cellular metabolism from the mitochondria. CoQ10 is vital for ATP functionality. This is proven when CoQ10 is administered to congestive heart failure patients diagnosed in its late stages. The study supplemental ubiquinol in patients with advanced congestive heart failure provides the evidence. The researchers focused on patients with advanced stage IV congestive heart failure, the most severe form of the disease. 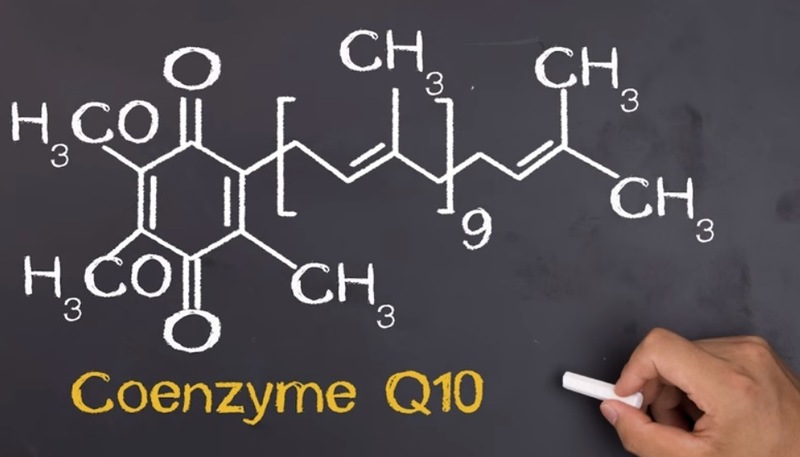 Patients were supplemented with 580 mg of the ubiquinol form of coenzyme Q10 daily to increase plasma blood levels by a factor of four. Ubiquonol is a type of CoQ10 that could be considered ready to roll without going through as much of a process in the body. Ubiquinol is a good choice for patients whose bodies are in weakened conditions, and most of the participants were considered critically ill and confined to bed or a wheel chair. After a regimen of ubiquinol, patients typically improved two classification levels (Stage IV to II or III to I). Other overall health issues accrue from diminished ATP quantity and functionality. A 2013 Harvard Medical School study performed among 32 hospital patients of varying levels of illness sought to determine if there is a correlation with low CoQ10 blood levels and serious illness and septic shock. Mitochondrial dysfunction adversely affects many aspects of human health, in addition to cardiac dysfunction. Its proper functioning plays an important role in the reducing worsening health from the aging process. Many neurological disorders such as chronic fatigue, multiple sclerosis (MS), seizures, and other autoimmune diseases can be traced to mitochondrial dysfunction and low ATP. Yet there are those within mainstream medicine who claim statins prevent MS. This process of producing ATP in cells, which occurs in the cells’ mitochondria, is a major feature of cellular respiration. When cellular respiration falters, this creates an inability for cells to properly utilize oxygen, forcing the cells into fermenting glucose for their survival, thus creating early stages of cancer. Cancer cells thrive on high acidity and they are anaerobic, meaning they do well with fermenting glucose and don’t need oxygen. Cancer cannot thrive in an alkaline inner terrain with oxygen. This is why oxygen therapies, rapid alkalizing compounds, and the Budwig Diet are effective against cancer. CoQ10 or Ubiquinol is important for even more than heart health, it is vital for good overall health, cancer prevention, and a helpful adjunct for treating cancer, once it is established. The link to that petition by Peter and Terry Mare to prescribe CoQ10 with statins can be accessed here .